Digital transformation is perhaps the fuzziest term in the business world. Trying to capture too many moving parts, it transforms into visual white noise. Then struggling to explain it, we say it’s an umbrella term. But what does digital transformation mean? Is it about keeping up with new gadgets and software? Or does it imply that consumers want to interact with brands using a completely different means? Or maybe it conveys our retooling the ways we do business to leverage what the exciting new world of tech brings us. Is the answer A, B, C, or D all of the above? So, here are two tricky things about digital transformation. Tricky thing number 1: Customers drive change. When we talk about digital transformation, we are clear that it’s not a commodity. It’s the processes that are triggered on the C-level. They imply tectonic shifts in the ways organizations build and utilize software, the ways organizations tweak internal operations, and eventually the ways people in these organizations think. But does it necessarily come from the inside of a business? Try to recall when you used cash the last time. Or here’s another experiment. When did you send an important business message using a handwritten note and a stamp? Many things went digital. We get used to digital ways of interacting with the outside world. Inside organizations, this change of mindset is ultimately driven by the changes with our end customers and we must respond. Tricky thing number 2: Digitalization doesn’t mean transformation. Think of the shift from office documents stored on employees’ computers to those that are cloud-based like Google Docs. We could use Google Docs as an alternative for storing individual documents. To exchange these documents with colleagues, we could export them or write emails and attach exported documents. We don’t do that because the cloud allows faster in-team exchange and collaborative editing without exporting. The idea is digital transformation doesn’t narrow down to simple substitution of old tools with the new, digitalized ones. Instead, it implies holistic change regarding both technology and ways people think about leveraging the technology. So, digitalization doesn’t necessarily mean transformation. What is the agenda of digital transformation? We at AltexSoft consider the holistic transformation approach that consolidates the change in four main business aspects. An additional layer of this shift is in creating accessible interfaces to efficiently operate new digital tools on all levels, both customer-facing and internal ones. Let’s have a deeper look at these elements and explore how they interact. There is no single playbook for meeting the digital age for all businesses. Some services that were entirely physical couldn’t survive the forces of disruptive digitalization. For example, the entire video and rental industry in the US went obsolete when Netflix and Hulu burst on the scene. On the other hand, many brick-and-mortar organizations experience the digital impact in a milder way. Amazon hasn’t killed the physical retail market yet but rather pushed it to embrace new digital instruments. The varying degree of product and service digitalization across industries influences the path of transformation. If an industry is driven by sustaining innovation, the transformation should focus on how the value is delivered. In the environment of disruptive innovation, the value itself should be reshaped. In other words, an organization should consider what should be eventually delivered and redefine the value proposition. Path 1: Transforming how you deliver. This path entails the change in an operating model to augment the existing workflow without redefining the bottom line proposition. It usually marries up with industries where the product is mostly physical, customers don’t expect drastic change in terms of the value proposition, and revenue is generated beyond digital means. In cooperation with a partner, AltexSoft developed a gamification and engagement marketing platform that helped clients to take this first path of transforming the delivery value. The platform allows retail, healthcare, and casino businesses to gamify their discount campaigns. As customers purchase physical products and services, they can participate in digital discount campaigns and become more engaged with the brands. Read the full case study. Introduce new digital channel. While keeping the old revenue streams, use new digital channels to reach the digital audience, to engage the existing customers in a new way, or to optimize the existing operations. Learn from acquired information. As you embark on new digital channels, the entirely new flow of information about digital customers or processes can be captured and analyzed. For instance, companies that have used the gamification platform mentioned above could assess their discount campaigns and better match their reward propositions to different segments of their audience. Fully integrate new digital means into the operating model. Once the feedback is captured and processed, the delivery is optimized to embrace all customer/employee/partner-facing units. Path 2: Transforming what you deliver. This path of transformation is preferred when the physical revenue streams no longer match the digital expectations of customers or partners. Thus, the transformation starts with addressing digitalized customers and evolves to redefining the core value proposition as most of the customers demand digital products. This leads to replacing the physical proposition with a digital one. Bravo Pawn Systems LLC. is a leading SaaS provider in the sphere of integrated point-of-sale and inventory management solutions. Together with AltexSoft, the company developed a fully cloud-based management environment for pawnshops. By switching to the entire digital value proposition, pawnshops also address several operational problems. Instead of arbitrarily estimating products on-site, pawnshops can assess products remotely online by receiving pictures from customers. Smart assessment tools help to avoid inaccurate estimations. Also, the software meets eCommerce capabilities–products can be sold via eBay, Amazon, or other eCommerce platform in a semi-automatic manner due to integration of multiple APIs. Bravo helped pawnshop owners reshape the value proposition by moving to solely digital operations. Enhance existing value proposition with digital experience. This will help both in enhancing the existing-customer experience and building a new digital community. Introduce a new revenue stream. Add a new revenue stream which is solely based on the digital community and doesn’t intersect with the physical one. Basically, this entails stretching the brand. Transform the proposition. Depending on an industry, transformation implies either full replacement of physical value with digital or building an integrated physical+digital value. Choosing the path shouldn’t be based only on the degree of digital disruption. While mobility and digital expectations of customers are critical, organizations should consider the strategic decisions on other players and availability to shift legacy and physical processes to digital ones. Back in 2010, Esteban Kolsky, an enterprise advisor and the founder of ThinkJar, introduced the concept of Experience Continuum, which is built around a social business model. It suggests that every level of organization–from accounting through marketing to shipping–should be involved in the end-to-end, continuous experience-feedback mechanism. As an organization delivers experience and receives feedback, it learns from it and ships an updated experience to match customer expectations. Unlike the traditional lifecycle approach, it challenges the organization to move from a single-process experience (e.g. marketing and sales adapt separately) to end-to-end processes (e.g. marketing and sales operate within one stream of feedback and decisions). 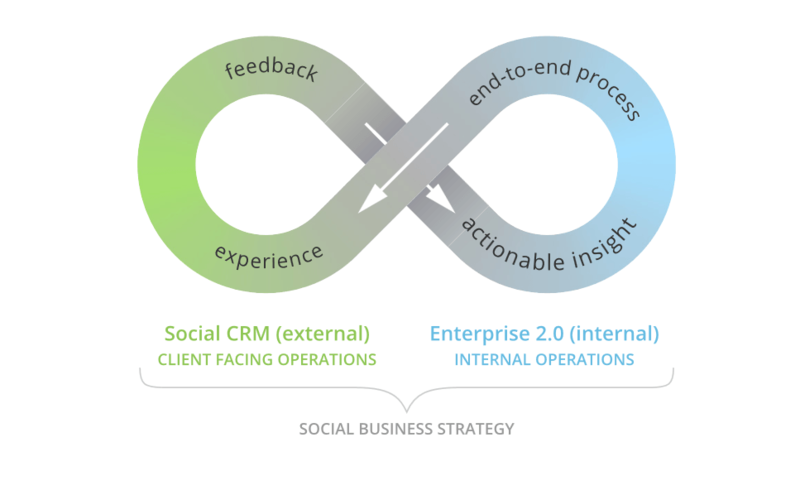 Thus, feedback is collected across all business units and processes adapt in an integrated way. However, the shift from a single-process experience to an end-to-end mechanism can’t be achieved rapidly. We suggest the evolutionary approach to reshaping the experience. Look at some of its key constituents. Support cross-channel coherence. MITSloan Management Review disclosed a story of one retail brand that made customers angry because the representatives in a store didn’t have access to their online order history. To enable multichannel services, an organization must ensure coherence among all channels, which requires cross-channel accessibility to operational levers. Individualize customer experience. As we face a rapid growth of available touch-points and gather greater amounts of customer data, companies can convert all customer-related data to actionable insights and provide individualized experience to better segment customers and match their expectations. We’ll talk about customer analytics in more detail in the Information Management and Analytics section. Digitalize operations and communications internally. All customer-facing efforts will be in vain if operations aren’t digitalized internally, e.g. capturing the tweet of an unsatisfied customer by the marketing team is useless unless the complaint is rapidly directed digitally to the customer service team. The current state of CRM allows for this type of rapid response. Another aspect of internal digitalization is employee mobility and embracing the bring-your-own-device (BYOD) demand. Enterprise mobility is truly rewarding when employees who must work on-site (restaurants, construction, manufacturing) can access information, and directly operate software via mobile devices. Optimize and automate. Automation has become a fact of life in recent years. However, refocusing employee experience from repetitive tasks to strategic and ingenious operations is still a high barrier. It can be tackled by establishing internal experience-feedback loops and gathering data. Converge sales, marketing, and customer service. In traditional businesses, sales, marketing, and customer service departments operate in parallel universes as customers progress through the funnel. The converged approach implies uniting silos to achieve a 360-degree view of the customer. Thus, each department can leverage the insights of the other two and respond proactively to meet expectations. Streamline the partner experience. Many businesses have recognized the need to integrate partner or vendor experience into the operational framework. Vendor and management systems, for instance, digitized mutual contacts between partners to streamline operations and reduce cost associated with establishing different communication channels with each partner. The partner is a leading US-based travel technology provider serving over 450 clients, including corporate travel departments, airlines, and global distribution systems. In cooperation with this company, AltexSoft developed a business travel environment that contributes to the end-to-end customer/employee experience. The idea behind the solution is to address business travel losses associated with such disruptions as flight delays and overbooking. The product consists of two components–an agent-facing dashboard and a traveler-facing mobile application. The application alerts travelers if a disruption occurs and allows the traveler to directly contact a travel agent in charge; while travel agents can proactively capture any disruption event and rebook a ticket to let the traveler reach a business destination in time. Both internal and client-facing digitalization allowed travel agencies minimize the disruption risks. The three-tier model of cloud addresses these concerns by shifting computing, server maintenance, and integration of applications from the internal corporate IT to a third-party cloud. This shift is also supported by several studies. According to the Right Scale 2015 survey, 93 percent of companies used some variation of cloud solutions, with 58 percent using both private and public cloud, 30 percent opting for public cloud only, and just 5 percent using private cloud. The statistics imply the gradual migration from private cloud to public cloud. Why is that happening? Public cloud is the main infrastructural driver of digital transformation. According to Gartner, the cloud shift will reach more than $1 trillion in IT spending. For enterprise software, the main spending will be allocated to SaaS and PaaS layers. Why is that important? Let’s find out. If done right, public cloud allocates scalable computing power, provides a unified development environment, and supports cross-device access for all users. Public cloud structure can be divided into three basic levels: infrastructure-as-a-service (IaaS), platform-as-a-service (PaaS), and software-as-a-service (SaaS). IaaS is the lowest tier of cloud computing. A third-party provider supports all infrastructure components, including server hardware, and covers all tasks associated with maintenance and backup. What are the main business problems that this layer addresses? Cloud infrastructure allocates room for dynamically changing computing events, which is critical in the digital era to meet responsivity and user interaction speed. The keyword for the platform layer is obviously integration. As the number of touchpoints–both customer and employee facing–grow, low cost integration allows for delivering custom applications tailored to current needs and customer expectations. SaaS is the top and most visible layer of the cloud structure. In provides visual access to applications functioning in the platform layer and unifies experience across these applications. Additionally, the SaaS level can support access to legacy systems beyond platform layer. We’ve discussed legacy software in one of our white papers before. What are the main tasks of the software level? The core goal of the software level is to unify all operational components in a digestible way for as many devices as possible. Most businesses have embraced cloud in one form or another. But using a handful of SaaS applications to bridge missing operational gaps isn’t full-blown cloud adoption. 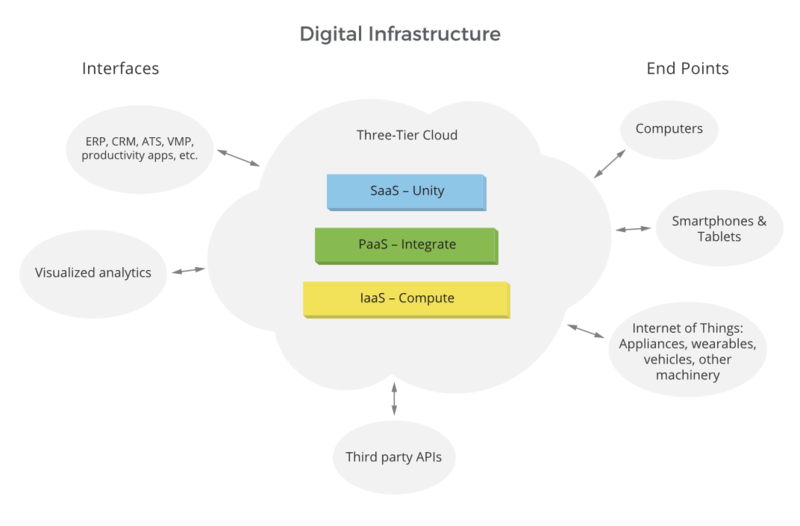 The most comprehensive digital transformation potential lies in this three-tier model, which enables scalable computing power, a lone engineering environment, and visual accessibility across devices. Another most revealing shift in the cloud transformation has happened quite unnoticed. Today, increasingly more CIOs consider cloud migration as a primary measure in security risk mitigation. This trend challenges the main point of hesitation between cloud and on-premise alternatives. Cloud security has overcome this psychological barrier and finally has been acknowledged as the approach more secure than on-premise data storage in addition to its high efficiency, streamlined updates, and scalability. Every time we talk about analytics, the main point of consideration is how to shift from assumptions, based on experience and intuition, to data-driven decision making. The eventual goals of analytics are to optimize the existing processes to reduce cost, personalize customer experience–we talked about that earlier–and automate processes using gathered data and best practices. But achieving these goals through analytics is inseparable with new ways of information and data management. These not only entail proper software tools but also ground changes in the ways the organization operates. Let’s talk about these two aspects in more detail. The most recognized approach to understanding the levels of analytics development is the maturity model. It describes how analytics evolve as a company moves from assumption-based decision making to a data-driven organization. Descriptive analytics. It’s the basic analytics level which answers the question What happened? A person can get the answer looking at dashboards and reports. In most cases, analytics initiative stops here and decisions are still based on assumptions that derive from partly unanalyzed data. Diagnostic analytics. The question is Why did it happen? With a constant stream of data, descriptive analytics aren’t enough to capture the pattern in acquired records, divide data items to segments by similarities, or conduct sentiment analysis. To realize the potential of diagnostic analytics, the organization must acquire software and talent capable of yielding these insights. Today, diagnostic tasks can be addressed with data mining and machine learning techniques. Predictive analytics. The question is What will happen? Once we’ve captured the patterns in data and received insights, we can forecast what will happen based on historic data. Will this customer leave? What is the price going to be for this product? How long will it take for a vehicle to operate with the current workload until it needs maintenance? Predictive analytics is usually realized by means of machine learning. We discussed business applications of machine learning in our previous white paper. Prescriptive analytics. The question is What should we do? Based on best practices of resolving issues, prescriptive analytics automates decision making, when a number of specific conditions is confirmed. For example, international banks gather various data about credit card transactions and–with a high degree of confidence–can understand whether some transactions are fraudulent. Hence, a decision to block a suspicious card is made in a fully automatic way, once identified specific circumstances trigger an algorithm. The path from descriptive analytics to prescriptive analytics can only be completed if an organization makes a set of operational changes. Analytics thrive within a fertile environment. But there are many internal and external barriers to it, from people used to making decisions based on their experience to the mere lack of analytics talent. At AltexSoft, we’ve come up with a strategic approach to building data-driven organizations. Let’s drill down to those circumstances. It’s likely that your organization is already collecting a lot of useful data. But the usual scenario is that different departments are hoarding their data and impeding a holistic understanding of processes for other business units. Combating this behavior on the C-level will allow for an analytics jumpstart. Embarking on predictive and prescriptive analytics initiative with the use of the latest technological advancements entails collecting as much data as possible. Besides common figures, try to capture the decisions that surrounded use of the data and how confident those decisions were. You will be able to employ this information to build more comprehensive algorithms based in machine learning. In theory, establishing data-driven decision making looks good. But in practice, it may be difficult to convince people to think differently. Consider machine learning. The most complicated algorithms act as black boxes and we can’t always be sure why they draw one prediction or another. People, on the other hand, can justify their decisions by experience. In fact, it’s the experience which makes them professionals. Not only the initiative should be introduced by the C-level but it should also be advocated this way. Analytics talent is scarce and expensive in terms of compensation and retention. However, an even bigger problem is to find a “business translator,” a person who has both a technical and data science background, who can act in the management role, and has deep domain expertise. 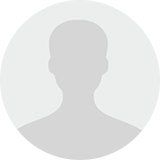 This person should bridge technical aspects of analytics with concrete business interests and sometimes act as a visionary to foster the use of the latest data science techniques. In some industries, like insurance or banking, there’s no way to fully democratize access to data and hand sensitive customer information to an analyst, consultant, or a data scientist. In this case, we usually recommend data be anonymized beforehand by simply substituting revealing records with numbers. At AltexSoft, we recommend following these steps to set the digital transformation strategy. The first step is to consider how the digitalization is driven within the given industry. Start with assessing the strategic moves by industry competitors. Consider what the customers’ and partners’ expectations are. Is the industry impacted by sustaining innovation or is it disrupted? Define mobile and networking adoption levels among customers as well as partners. Based on insights, consider the strategic path of digital transformation. Should the operational model be reshaped to support the delivery of a physical product or a service? Or should the product or service be reshaped to meet the digital expectations of customers and partners? Based on the chosen path, which aspect of transformation should be approached first? Assess internal operations and prioritize what should be reconsidered first. 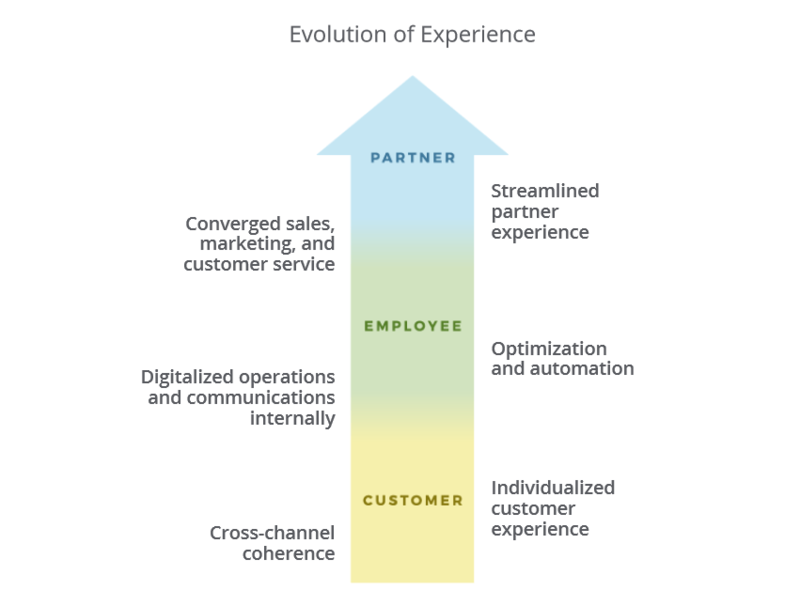 Is it the evolution of the customer/employee/partner experience? How holistic the existing cloud shift is? On which level of analytics maturity the organization is? Break down your agenda to concrete tactical moves. What kind of acquisitions do you have to make? Consider the resources and timeline required to pursue the strategy. Connect domain knowledge and technical expertise to consider available solutions and foresee how these technologies can be employed in the industry in a new way. For example, Fujitsu offered an IoT Cloud solution that tracks cow activities and analyzes gathered data to increase the conception rate in cattle. This visionary activity challenge is to acquire new talent, engage a consultant, or transition internal talent to management. Study the cloud supplier and other possible suppliers. How much does the digital and application development environment of a given supplier match the chosen technology enablers? How much investment is needed to fill the technological missing gaps that this supplier has? The transition from the old IT to the new cloud-based digitized ecosystem sets up a challenge of operating in a hybrid environment. Organizations must gradually move to the future infrastructure and platform while maintaining the existing ones. This requires additional budgeting for personnel training and data migration. As you contemplate any kind of transformation, the vector of cultural change should not be overlooked. McKinsey argues that only 4 percent of global 500 companies truly have a board that is digitally ready. To support continuous change, the vision should be aligned through the whole organization, and the first link in this alignment is definitely the board itself. Digital transformation is a broad term that embraces a wide array of elements that–when combined–define how an organization addresses interactions with customers and clients, how it operates internal tools and manages employee interactions, and eventually how this new digital framework is supported on the technical level. But the main impeding challenge for any company that undergoes digital transformation isn’t the financial part. If done right, the transition eventually reduces operational cost. From leveraging the new tools to establishing an entirely different style of communication between management and employees, the cultural transformation will remain the main driver of the digital change.